CityLife helps you to explore the many aspects of Hong Kong’s rich and colourful Cantonese culture which makes the city so special. It doesn't take long before a visitor to Hong Kong notices an aspect of the city distinct from other cities in China- the dominant use of Cantonese language .That, of course, is just the tip of the iceberg as Cantonese culture, mixed with Western influence from Hong Kong's colonial history, is embedded in all elements of everyday life in Hong Kong- from language, to food, to arts and music, to traditional customs and festivals. Cantonese is a rich and colourful culture which has enjoyed an outsized influence world-wide due to its language as a common dialect across China Towns everywhere, due to the popular influence of Hong Kong films and music which enjoy a huge following overseas, and due to the popularity of Cantonese food worldwide. In many ways, Hong Kong can be rightly considered the “last bastion of Cantonese Culture” as the use of Mandarin, China's official language, becomes ever more pervasive. 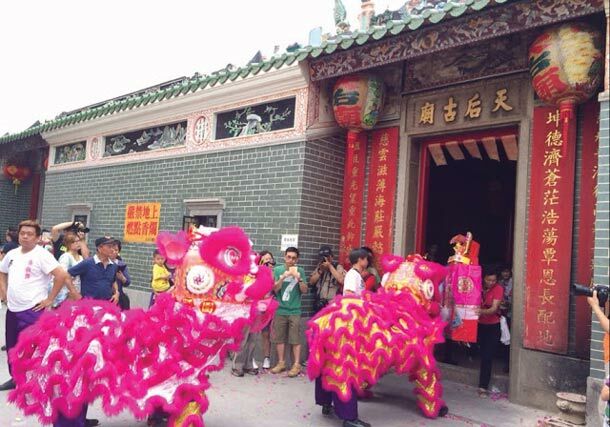 But for visitors, getting a feel for what Cantonese culture is all about and experiencing its multi-faceted elements can be challenging, precisely because it is so ubiquitous. 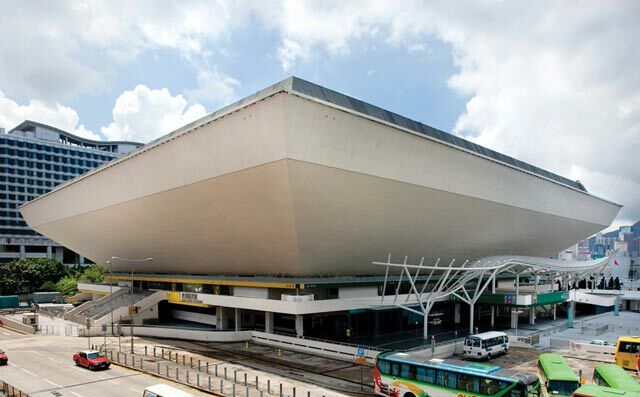 But still, we strongly encourage you to experience the riches of the culture and with it the essence of Hong Kong and what makes the city such a fascinating place for visitors. 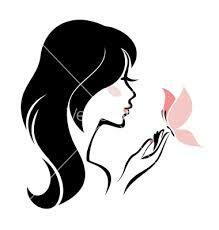 Cantonese, strictly speaking, is a spoken Chinese dialect, as the written language is common across all dialects. 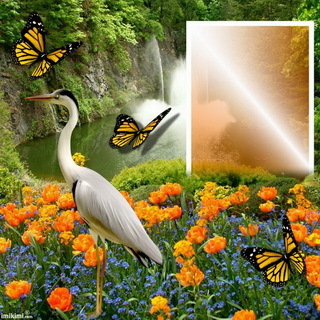 It is spoken widely in Guangdong and Guangxi provinces albeit with different accents. Proper Cantonese, or the Prestige Dialect, is spoken by people in Guangzhou (Canton), Hong Kong, Macau and Zhuhai. Around 60 million people speak Cantonese as a first language. Cantonese is thought to have traced back before the Tang Dynasty; some would argue that its pronunciation bears closer adherence to Middle Chinses which prevailed during the Tang Dynasty. 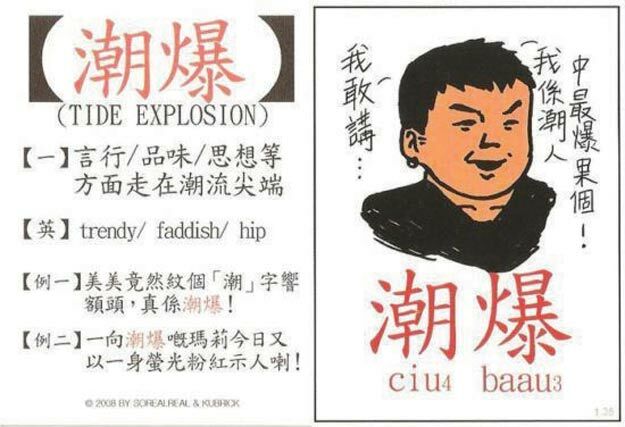 Because Cantonese is so verbally expressive, it produces words that don’t exists in other dialects and special characters have to be created to describe them. Cantonese is an emotional and expressive language, don’t be taken back if two people speaking Cantonese seem to be arguing heatedly- they could be talking about anything. And Cantonese is tonal, therefore hard to learn as a dialect- even the locals couldn’t describe all the tonal elements which could be anywhere from 6 to 9. 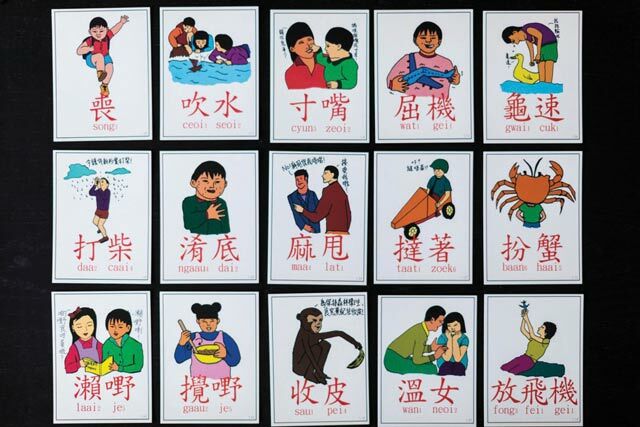 Still, why not learn a few Cantonese phrases and give them a try while you are out and about? Given the prevalence of English you don’t need to learn it for survival, but the locals will surely appreciate your effort. We’ve put together 10 phrases to help you ger around, and for entertaining value. Cantonese Films and TV shows. In the 1970s and 80s, Hong Kong enjoyed a reputation as a prominent base of film and TV production, with an extensive following throughout Asia and world-wide. Early trailblazers like Bruce Lee helped put Hong Kong on the map, followed by movie icons such as Jacky Chan and Chow Yun Fat as well as famed movie directors like John Woo. Many of these films have become classics, even in as late as 2002 when the movie Infernal Affairs starring Andy Lau and Tony Leung was made. Hong Kong movie production has since waned considerably, but the large body of work remains a critical part of Cantonese heritage. Visit the Hong Kong Film Archive located in Sai Wan Ho for a tour of Hong Kong’s film history, It also offers daily screening of old classics as well. 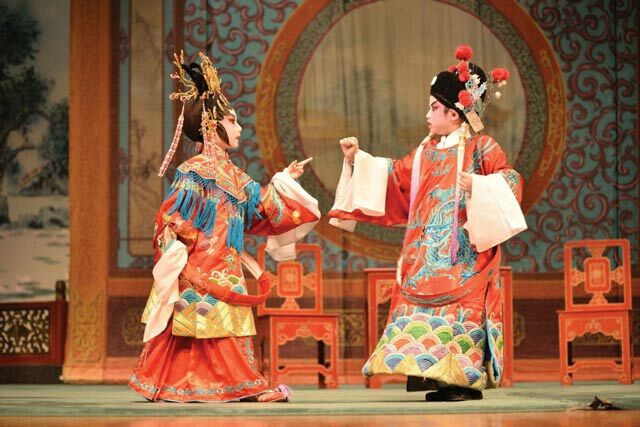 Cantonese Opera is major form of Chinese Opera thought to have originated during the Song Dynasty in the 13th century. The opera is a combination of music, dance, movements and acrobatics. It was popular in the Pearl River Delta area, Hong Kong, Macau and Southeast Asia. 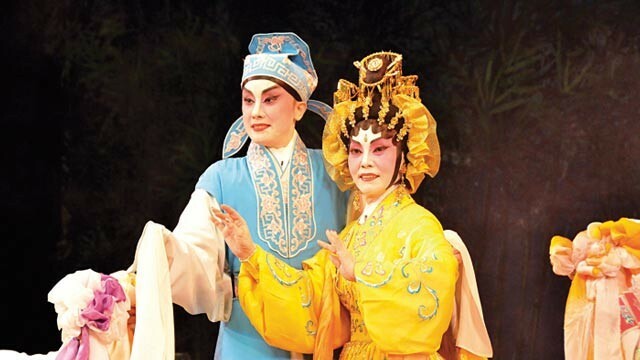 Cantonese Opera enjoyed a renaissance in the 1950s and 60s in Hong Kong with many opera performers becoming household names. A few places still perform Cantonese operas today, including the Sunbeam Theatre in North Point. 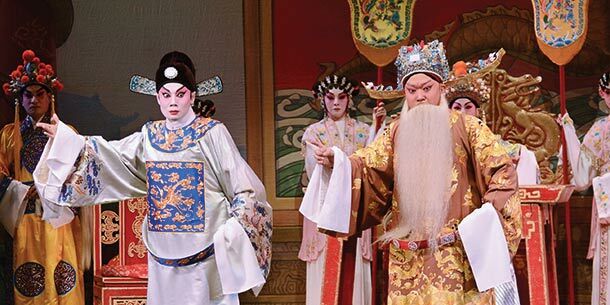 The recent opening of Xiqu Centre in West Kowloon Cultural District, a major theatre for opera performances, should help its revival. Catch a performance there if you can; or just soaking up the vibes even if you don’t understand the dialect can be an interesting experience. 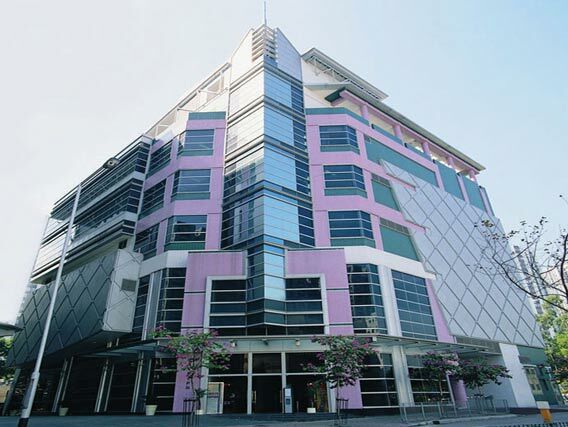 Xi Qu Centre, 88 Austin Road, Tsim Sha Tsui, Kowloon. Before there was Korea Pop, Canto Pop was all the rage in Asia. Canto Pop is uniquely Hong Kong, combining Cantonese lyrics with western pop music style and instruments. Even today, some of the superstars of Chinese pop music such as Jackie Cheung, Andy Lau, not to mention the late Leslie Cheung, made their marks in Canto Pop first. Canto Pop is still highly popular today, and these singers sell out venues regularly throughout Asia and even in North America. You can always download some of these singers’ Canto Pop songs and better yet, catch them in live concerts in Hong Kong, usually at the Hong Kong Colosseum in Hung Hom, Kowloon. perhaps the most influential element of Cantonese culture is Cantonese food which enjoys a world-wide following. To steal a similar phrase – the Sun never sets on a Chinese restaurant – Cantonese food is served everywhere. And there is no place better to experience the rich varieties of Cantonese cuisines than in Hong Kong, arguably the centre of Cantonese food. 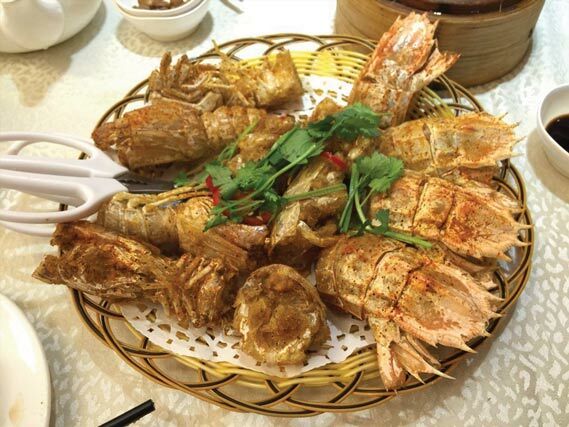 Among Chinses cuisines, refined Cantonese cuisine is considered elevated fine dining. In Hong Kong, of course, you can sample excellent Cantonese food on any type of a budget. 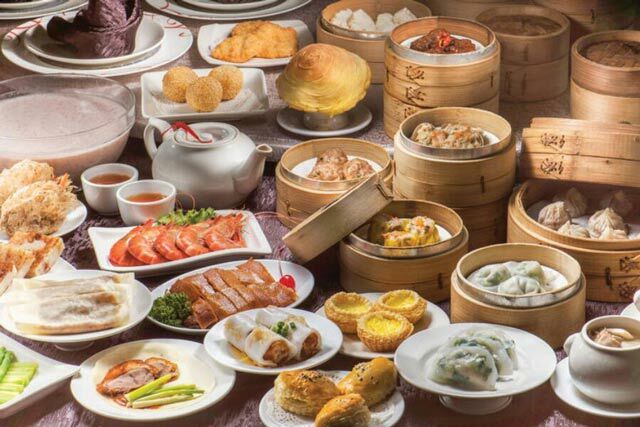 You must try a dim sum lunch, a Cantonese mainstay. A Seafood dinner at a Cantonese restaurant is also a must; some feature live fish tanks where you can pick out you live catch. Also try out a double-boiled soup that the Cantonese is famous for at many of the city’s restaurants – it’s healthy, nutritious and warms your body. But there are just so much more to try out. Cantonese culture tends to be more conservative, with many elements of the old culture preserved. Cantonese culture also is superstitious, and many traditional customs and festivals meant to please the gods and deities have been continued. In Hong Kong, Tin Hau, or Goddess of the Sea, is the most revered and worshipped deity. 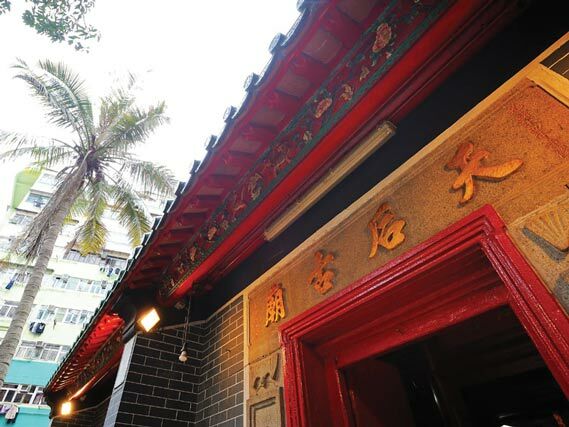 The city has over 700 temples many of them are Tin Hau temples. Check out the Tin Hau Temple in Yau Ma Tei or Hung Hom for its intricate displays. During Chinese New Year, see if you can catch a lion dance performance, which are performed when a business reopens after the Chinese New Year Holiday.